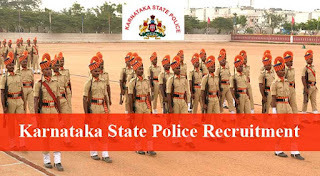 Karnataka State Police Recruitment Notification 2017 : Latest Notification for Karnataka State Police Notification is Civil Constable Posts . 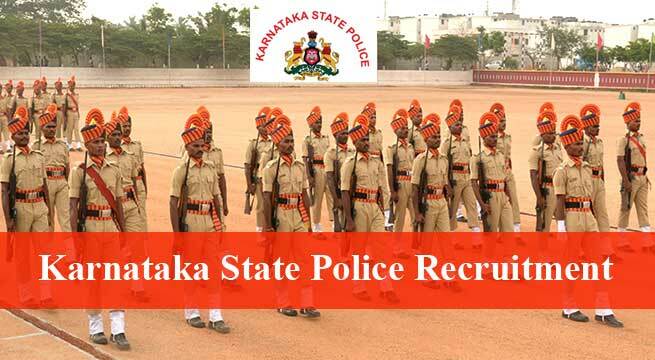 Online Application Invited by Karnataka State Police Department. Last Date to apply Online 22 June 2017 . Fill the Vacancies of 1313 Civil Police Posts . All Interested Candidates can click on official website www.ksp.gov.in . and alljobalert.in For More details of State Police Notification Education and Qualification , Age Limit , Application Fee , Salary Details , Selection Procedure , How to Apply ext.. The Karnataka State Police Department is the law enforcement agency for the Indian state of Karnataka. The department is headed by the Director General of Police. Candidates must have PUC, 12th Std (12th Std-CBSE, 12th Std-ICSE, 12th Std-SSE) or equivalent. Rs 250 for GM , 2A,2B, 3A,3B & Rs 100 for SC , ST, CAT-01, ST (Tribal ) through in state bank of Mysore (sbm)/ state bank of Hyderabad (sbh) only. Candidates have to fill the application and generate the challan and make the payment in the respective bank. All Eligible job seekers Can Download application Form through official website http://www.ksp.gov.in . before or on 22-06-2017.